• Prices do not include applicable taxes, shipping or insurance and are all CDN$. • EMT, money order, Visa and Mastercard accepted. Last edited by plainSight Solutions; 06-29-2016 at 02:19 PM. That's good pricing. Once I've got some cash I'll have to look into an Apex xd50. 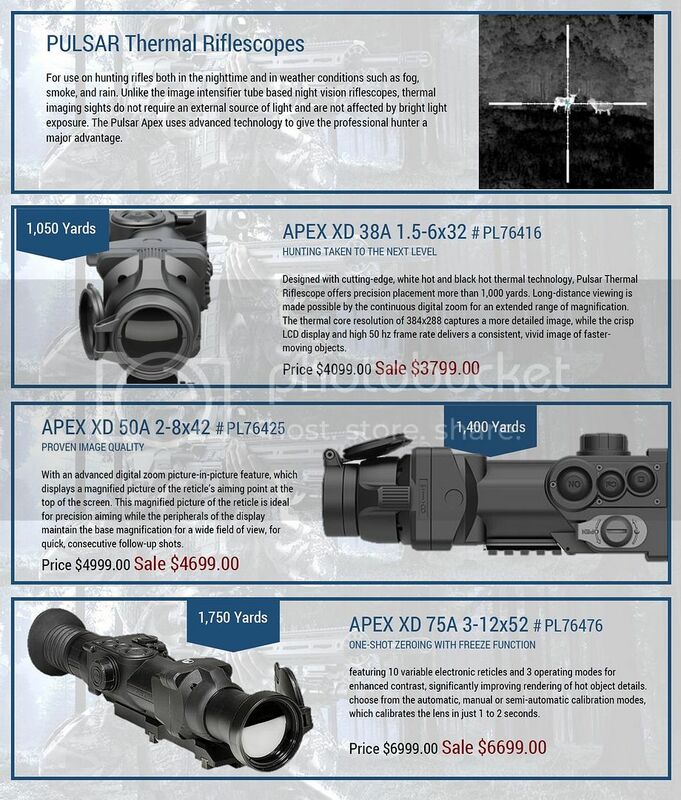 Any of the pulsar riflescopes left? 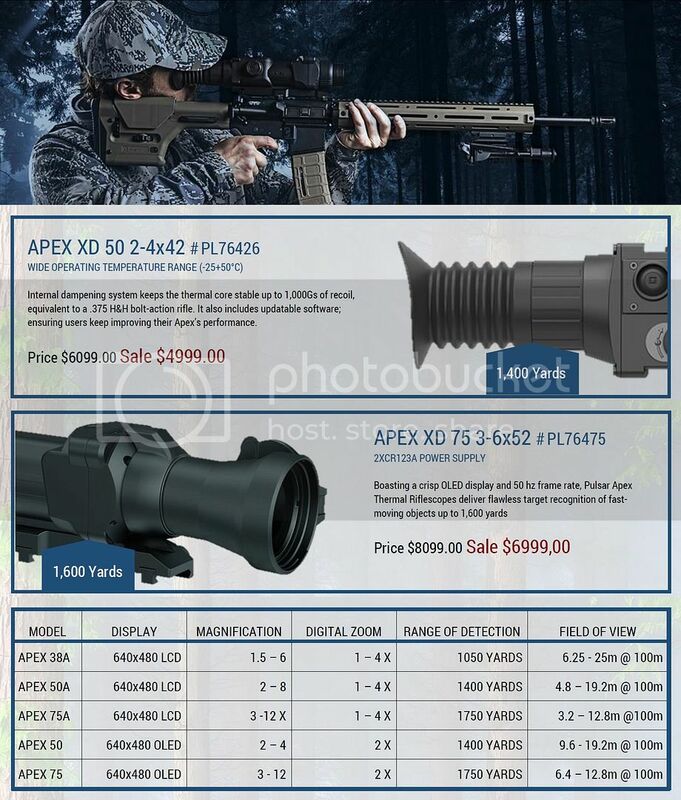 We are currently out of stock of the Pulsar Apex Thermal Riflescopes. 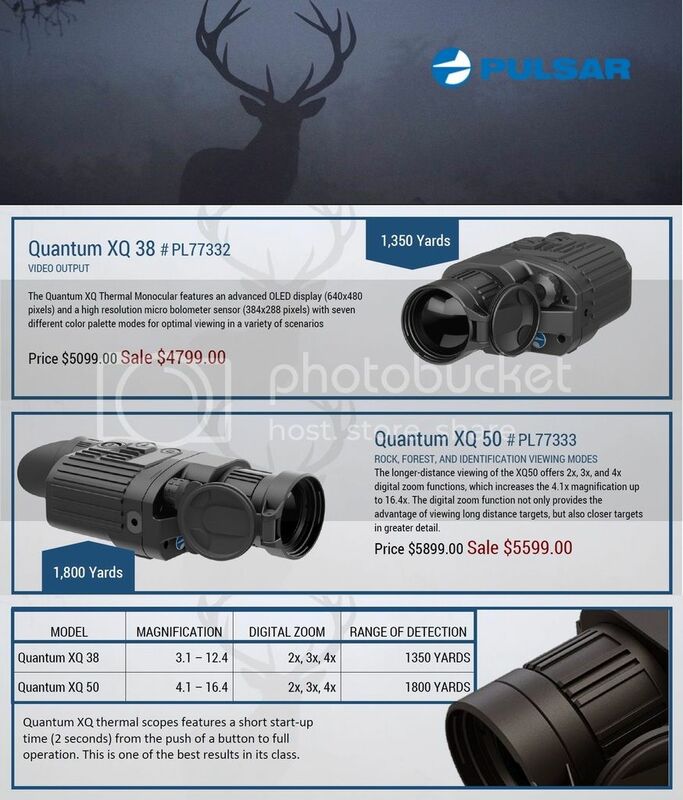 We do have the Pulsar Quantum Thermal Monoculars in inventory. Let me know if you require additional details. Can you get the Trail XP50?